Dusty Red is ALMOST a synonym for pink, but don’t tell Sam I said that. This is a broad plaid in various shades of red. It does up with snaps. It first appears in No Exit (2x06), as Sam and Dean leave the Roadhouse at the beginning of the episode (witnessing the fight between Ellen and Jo before they go.) Ironically, he then wears it again at the end of the episode, when they are all in the car driving back to the Roadhouse. 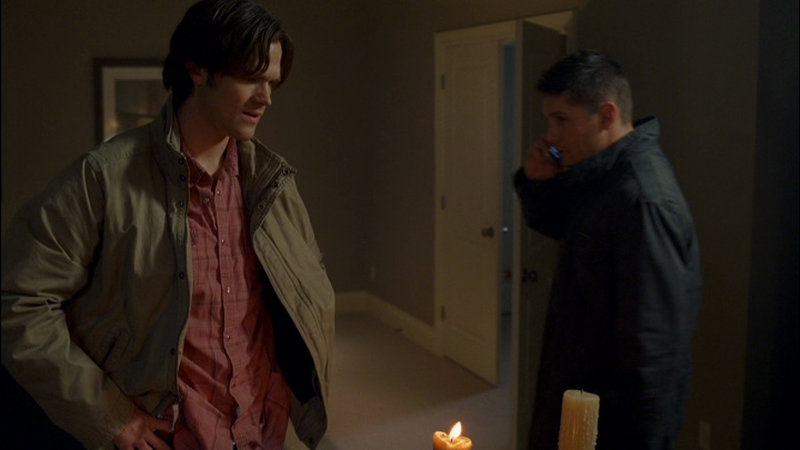 In Heaven and Hell (4x10), Sam wears it at the end of the episode, when Dean tells him about Hell. In Bitten (8x04), Sam is wearing this shirt when he and Dean discover the bodies of the college students and watch the video they left behind. 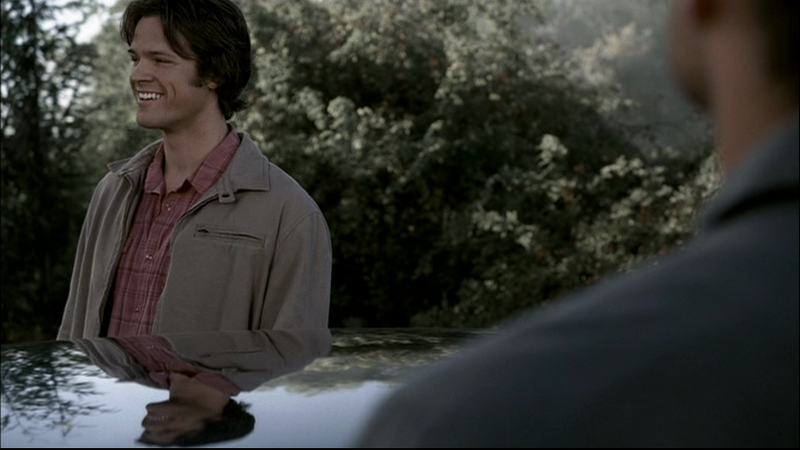 In I’m No Angel (9x03), Sam wears this shirt when he and Dean go to the homeless camp and then Detroit as they look for, and eventually find, Castiel. In Red Meat (11x17), we see Sam wearing this shirt in the flashback to the bunker when he finds the case. In Somewhere Between Heaven and Hell (12x15), Sam is wearing this shirt at the beginning of the episode when he and Dean return to the Bunker after their long string of hunts, and Sam insists that Dean shower before they leave again.